UNESCO Green Citizens is an international programme that highlights outstanding examples of Education for Sustainable Development from across the globe. Through portraits, documentaries and a travelling exhibition, UNESCO Green Citizens shines the spotlight on the men and women rising to these challenges to help our planet. 11 projects symbolising the notion of transmission have been selected from Japan, Senegal, Brazil, Portugal, Vanuatu, India, United States, Egypt, Nicaragua, Morocco and even France. After touring Morocco in 2017, the travelling exhibition is stopping off in Portugal from 26 September 2018 to 6 January 2019. 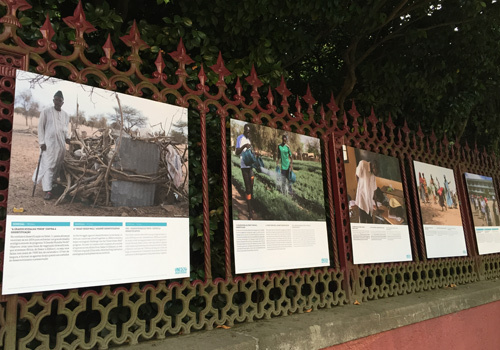 43 panels illustrating the "Pathfinders for Change": citizens, associations and even schools, from across the globe, working towards a better sustainable future, will be located at Porto’s Botanical Garden, in the Hall of Biodiversity – Ciência Viva Center, which opened to the public in June 2017. 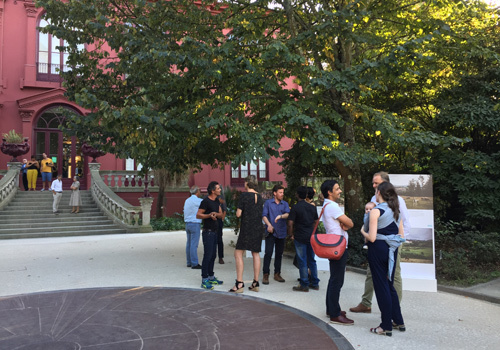 A Portuguese story "The Wolf and the Man" has been included in the exhibition, a novel example of a public awareness campaign aimed at restoring local biodiversity. The exhibition opened on 25 September at the Botanical Garden with the founding members and the press in attendance.